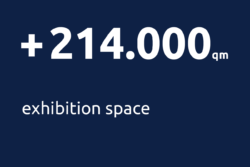 Welcome to the world's leading trade fair. 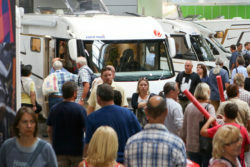 Here beats the heart of caravaning: Visit this year's largest international event for caravaning and camping! 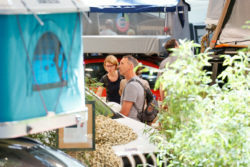 The range of leisure vehicles, practical equipment and innovative technology is unique. Here, trends are created and world premieres revealed. 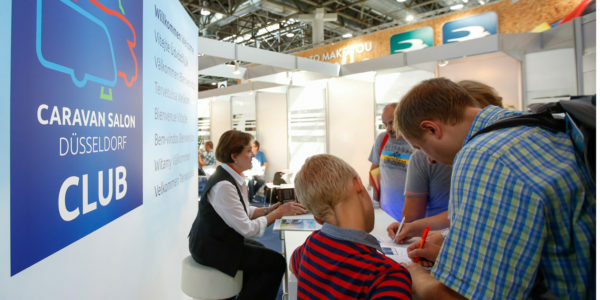 Also unique is the CARAVAN CENTER, the largest camping site in Europe right next to the fair. Or the popular StarterWelt, the special show with all information for beginners. And with the colourful supporting programme, your visit will be an experience for the whole family! 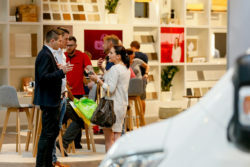 Become an exhibitor at CARAVAN SALON 2019! Valuable practical tips for newcomers and experts! CARAVAN SALON CLUB offers its members many attractive advantages, discounts and a reduced admission fee. 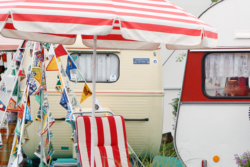 Explore the world of caravaning. 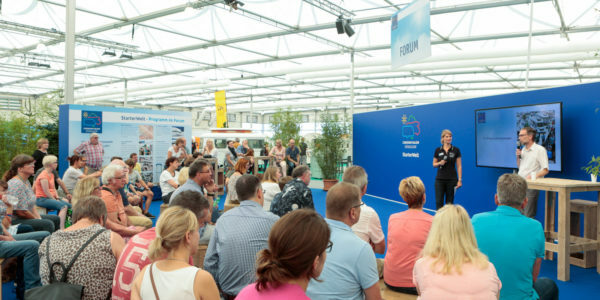 With a ticket for the CARAVAN SALON visitor also have free access to TourNatur. 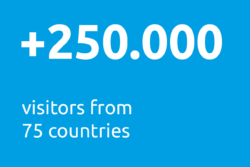 The Outdoor Enthusiast’s Show for Destinations and Equipment. 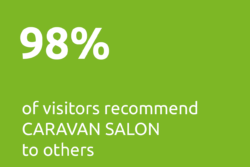 CARAVAN SALON - well connected!